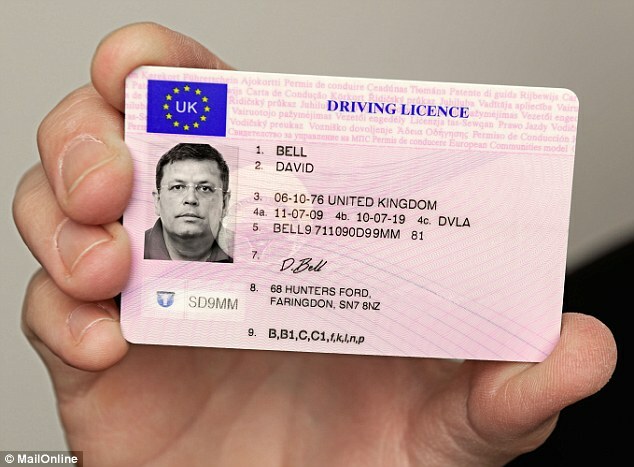 The cost of applying for a driving licence is to be slashed by up to a third under plans being announced today. New drivers who want their first licence will pay just £34, down from the current £50. The price of renewing licences and the fee for tacographs will also be cut under efforts to ease the cost of motoring. The coalition has long argued it is ending the war on the motorist, curbing parking fines and cutting the duty on petrol and diesel. She said: 'The cost of driving can be significant, especially for new drivers. 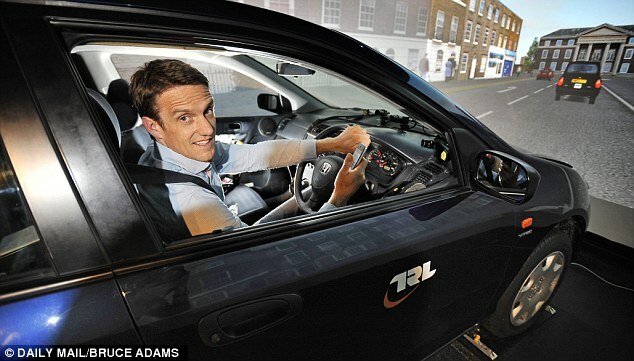 Drivers who apply online for their first driving licence would see the fee drop from £50 to £34. 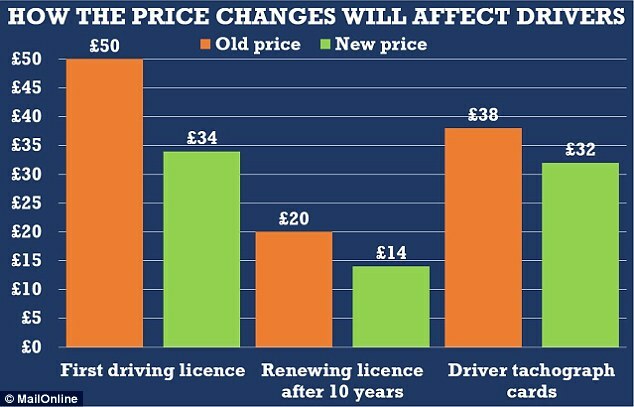 Drivers who renew their licence after 10 years would see the fee drop from £20 to £14. The online reduction is 32 per cent and the paper application reduction is 15 per cent. All driver tachograph cards would fall from £38 to £32. The Department for Transport expects the changes to save drivers nearly £18 million and the industry around £2 million every year. DVLA is currently reviewing all the fees they charge to motorists. Today's consultation is the first step in this ongoing review. The consultation closes on August 25 2014 and the Government is hoping to introduce the new fees by the end of October 2014. Cruising along the middle lane of the motorway at 70mph, I pick up my smartphone from the passenger seat and start composing a text message about my plans for the forthcoming weekend. ‘What’s the harm?’ I wonder. The motorway traffic is moving steadily and it’s only going to be a quick text. Besides, I’m sober and alert. Still, I hold the handset low — so passing motorists cannot see what I am doing — as I lower my eyes and start jabbing at the screen with my right index finger... ‘CU @ 12,’ I type, before pressing send. It took barely a second but when I glance back up, the first thing I notice are the red brake lights of a lorry ahead. With an impact imminent, I don’t have time to check my rear-view mirrors. I take immediate evasive action, single-handedly swerving into the overtaking lane. It is a close shave but, more by luck than judgment, I just get away with it. My heart thudding, I drop the phone into my lap and ease into the inside lane, hoping that no one important has spotted my terrible driving. But there is absolutely no chance of that. The Honda Civic I am driving is in fact a high-tech simulator located deep within the bowels of the Transport Research Laboratory in Berkshire. While it looks, drives and moves like a normal vehicle, it has no engine — the lorry I nearly rear-ended and the motorway I have been driving along are part of an ultra-realistic film projected on to screens that surround the car on all sides. 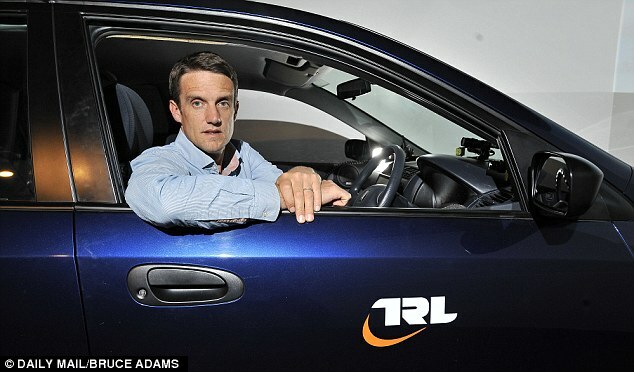 As I operate the car, my speed, braking, road position and eye movements are all recorded, the data fed in to a bank of computers monitored by scientist Dr Nick Reed, who is the senior human factors researcher at TRL, one of the world’s leading transport research centres. I’m here to test out new research that suggests texting is the most dangerous thing a person can do at the wheel. TRL scientists found that a driver’s ability is impaired far more by texting than it is by a couple of drinks, talking on the phone or eating a sandwich. But can this be true? To find out, my reaction times and driving skills were tested while completely sober, and with no distractions. I was then put through the same tests while texting, talking with my phone to my ear, talking on a hands-free phone, eating a sandwich and having consumed enough alcohol to exceed the drink-drive limit. The results horrified me. While it is legal to use a hands-free set while driving, if the police think you are distracted and not in control of your vehicle you could still be penalised. And judging from the results of the tests I underwent, that is a very real risk. To replicate the effect of having a hands-free phone conversation, Nick communicates with me via an intercom, running through a series of questions and mental challenges as I drive. These include simple maths puzzles (‘if three chocolate bars cost 93 pence, what is the cost of one bar’) and sentences that I have to repeat (‘Annie’s dog ran to her for help after it was attacked by a raccoon in the woods’). The idea is to occupy my mind to a similar degree as when engaged in, say, a conversation about work. And occupy it the raccoon most certainly does. To measure my reaction time, I am told to flash the car’s lights whenever a red bar appears on the screens in front of me. When speaking hands-free, my reaction times were markedly slower than when I drove the simulator with no distractions at all. Next came the challenge to follow the vehicle ahead and to maintain a constant distance between the two cars. When driving with no distractions, I managed a fairly constant gap but while speaking on the hands-free, I yo-yoed back and forth wildly. As for my ability to steer smoothly through a set of curves, I performed relatively well when compared with the other activities. But despite having both hands firmly on the wheel there was still a deterioration. As well as being illegal, talking on a hand-held mobile phone while behind the wheel is the nation’s most despised driving habit, even more than tailgating. It’s something I know I have been guilty of in the past — not holding the phone to my ear but holding it in one hand and switching on the handset’s built-in speaker. For the purposes of the experiment, I start by holding it in the crook of my neck and then switch it to my right hand. Again, Nick remotely runs through the series of questions as I negotiate the ten-minute drive. 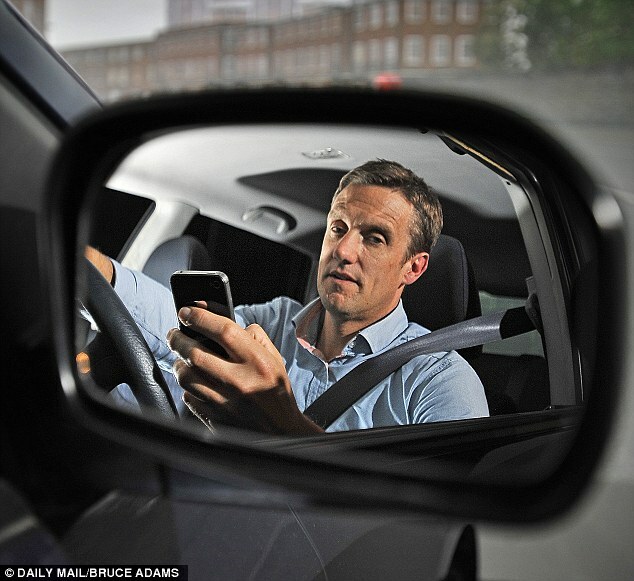 The data subsequently reveals that my reaction time was 14 per cent slower than when there were no distractions, while in the car-following task, my attention wavered to the extent that the gap I left increased by 24 per cent. When it came to steering a safe course through the curves, there was a 47 per cent increase in drifting. The results come as no surprise to me — it is abundantly clear to me as I do it that my control of the car has drastically deteriorated. Oddly, my reaction times were marginally better than with the hands-free phone — I’m not sure why, but maybe I was lulled into a false sense of security on hands-free and didn’t concentrate as well. Using a hand-held phone to text or email while driving is illegal. 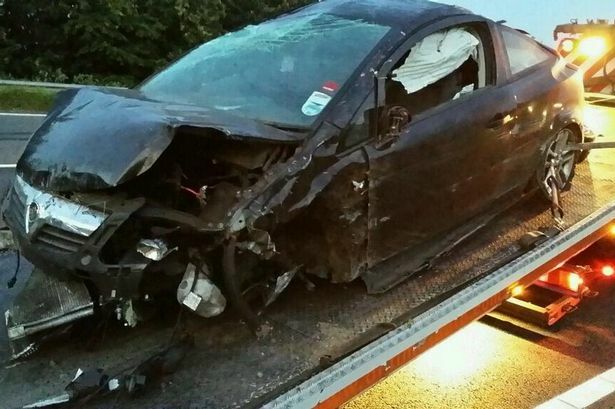 But it is something that half of all motorists aged 18-24 admit to doing regularly — a worrying statistic given that this age group is already at much higher risk of being involved in a crash. For this set of tests, I place my phone on my lap while Nick uses the intercom to dictate a number of messages for me to tap in to my phone and then send to him. Before I send each message, I look at the road ahead in a misguided attempt to reassure myself. But, as everyone knows, there is nothing predictable about traffic — simulated or not. And so it is that I have my near-miss with the lorry. These results are the worst of the lot. My reaction times are 25 per cent worse than they were with no distractions and when it comes to following a car at a constant distance, I open up the biggest gap of all but then, when it slows down, end up getting closer to it than in any other of the tests. As for following a curved road, the 85 per cent deterioration in my control says it all. ‘When texting, drivers are distracted by taking their hand off the wheel, by trying to read small text on the display, and by thinking about what to write,’ says Nick. Eating, drinking and smoking while driving are not illegal activities in the UK but drivers can be charged with careless driving if police believe they are not in control of their vehicle as a result. 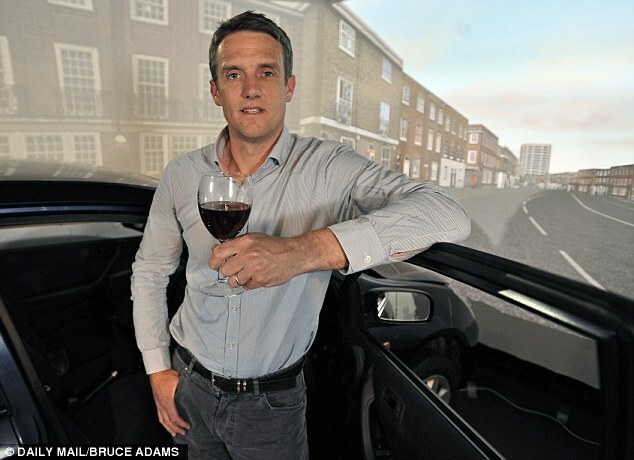 I arm myself with an M&S baguette and settle back behind the wheel of the driving simulator. Obviously the problem with eating a BLT at the wheel is that it involves one of your hands. It also takes your eyes from the road as you instinctively tend to look at what you are about to put into your mouth. But I’m still shocked to discover that my meal-on-the-go has the second worst effect on my reaction times (only texting is worse) and the second biggest increase in difficulty following the car in front. When it comes to controlling the vehicle through the curves, I don’t fare so badly — but that’s probably because I polish off the sandwich before I reach the end of the course. For obvious reasons, this is the final test of the day and to get me over the UK drink-drive limit — a blood alcohol level of 80mg alcohol per 100ml blood — Nick calculates how much I need to drink in relation to my height and weight. I plump for wine and am presented with a couple of medium glasses. After 15 minutes to allow the booze to enter my system, I’m back behind the wheel. By this time I’m infused by a warm glow and feeling pretty confident about my ability to handle the vehicle. Unfortunately, the results indicate that I am decidedly over-confident. While alcohol has the least effect on my reaction time — 8 per cent slower — when it comes to the car-following task, it is the only occasion when I reduce the average distance to the car in front. In the real world this could, of course, cause problems if said car suddenly slows down or stops. Meanwhile, my ability to negotiate the curved stretch of road safely deteriorates dramatically — I record the second worst result of all. It shows how dangerous alcohol can be — and a relatively small amount at that. As instructed by Nick, I had travelled to the lab by train and taxi. And I go home the same way. There’s no doubt the number of people using phones as they drive is on the increase — just look around next time you’re on the road. Modern technology means we are now supposed to be contactable 24 hours a day, even when we are on the move. So when you get a text or an email during a car journey, there is a compulsion to read it — and to reply. We all know we shouldn’t, but sometimes the urge is irresistible. But this experience has taught me that while many might assume drink-driving is as bad as it gets, using a mobile can be even more deadly: while drinking dulled my reaction times 8 per cent, texting slowed them by 25 per cent. To put that into context, if I was travelling at 70mph, I would have travelled 8.5 metres further before hitting the brakes in response to a problem than if I wasn’t distracted. That’s more than two car lengths. When it came to keeping a safe distance between my car and that in front, again, texting was the most disruptive. But most shocking of all was the way mobile use affected my ability to keep my car safely in the middle of a lane as I negotiated a series of gentle bends at 40mph. When driving while texting my performance deteriorated by 85 per cent, massively increasing the risk of my car mounting a kerb and hitting a pedestrian or drifting into the path of oncoming traffic. That compared with a 74 per cent deterioration when under the influence, 47 per cent when holding the phone to make a call, 37 per cent when eating a sandwich and 20 per cent when making a call hands free. Elderly drivers can be an unwitting danger to themselves and others, but should you voice doubts about a loved one's fitness to drive if it means they could lose their independence? Many of us have an elderly relative or neighbour whose driving is giving cause for concern, but what are we meant to do – apart from offering lifts and extolling the virtues of their free bus pass? Legally, there is no age at which any of us must stop driving. The onus is on the driver to decide when he or she can no longer cope. Ageing affects us all differently, and there will always be young drivers who are far more of a hazard than someone in their 80s. Statistics bear this out. According to the Association of British Insurers, people over 70 are half as likely to be involved in accidents as 18- to 20-year-olds. Partly because older people will often choose not to drive at night or in bad weather and may only go on short, familiar journeys. So that's OK, then. But it doesn't help if, like me, you've been asked to show an aged neighbour how to use the new satnav she's just been given. To be fair, we couldn't have done much damage in the short trip from her home to the local park. We were going too slowly. 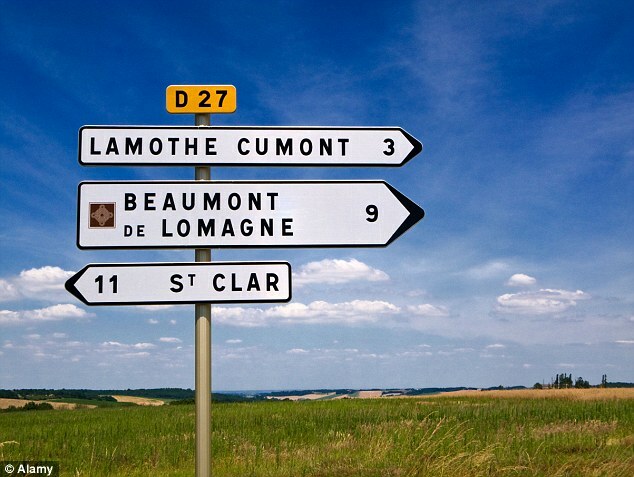 But the combination of the neighbour looking at the satnav rather than the road and that imperious voice sending us an unfamiliar way was horribly nerve-racking. The outing was nevertheless deemed a great success and my neighbour announced her next trip: to visit a friend living six miles away along a new stretch of motorway. I quickly changed the satnav settings to send her on the scenic route and I asked if she wouldn't prefer me to drive her. But no. From the age of 70 all drivers must renew their licence every three years. But there is no practical test and no medical. Just a form to say that we think we are still safe to drive. Given that the ageing process is as stealthy as a cat, how are we to know? The DVLA has an A-Z of illnesses – some age-related, some not – which you "may" have to tell it about or that you "must" tell it about. Failure to declare a medical condition can result in a £1,000 fine and prosecution if you are involved in an accident. Assuming you are still alive after the crash to pay. Run of the mill age-associated decline – loss of hearing, reduced flexibility, the fact that it takes over-50s about eight times longer than a 16-year-old to regain normal vision after exposure to bright light – doesn't automatically mean we shouldn't be driving but will, in the end, make us less aware, less able to react quickly, less reliable. Ultimately only a GP, an optician or the police can actually stop us from driving. Optician appointments are not mandatory; your GP may not volunteer an opinion – perhaps because they assume an elderly driver has already given up, or perhaps they have never been asked. The police will only stop someone if an offence has been committed or they happen to see someone driving erratically. 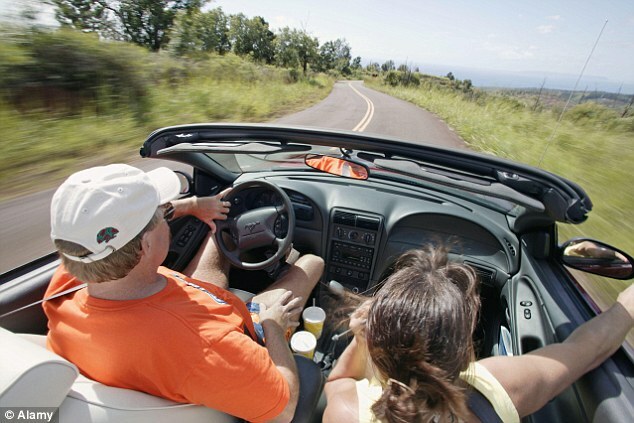 Which leaves family and friends best placed to monitor our driving. Anyone can tell the DVLA if they think someone is not fit to drive – regardless of the driver's age. 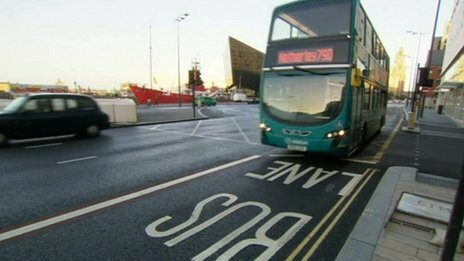 The DVLA will then ask its Drivers Medical Group to carry out an investigation, contacting the driver's GP if necessary. Unlike visits to the optician, if you ignore its letter you will have your licence revoked immediately for non-compliance. I'm not sure that I will contact the DVLA about my neighbour. I'd say she's borderline. But I have to hope that, along with most other people, I'm not just waiting for an accident to happen.